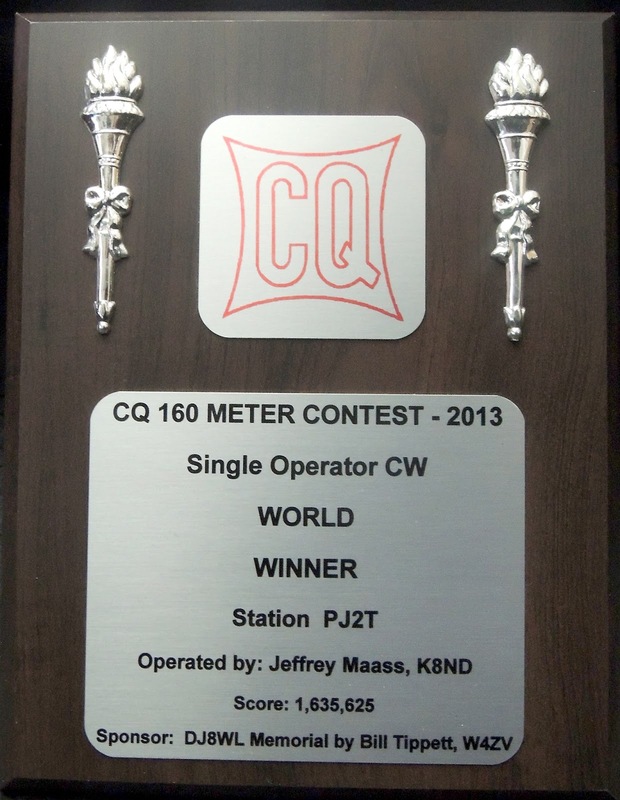 With the 2018 CQ160M CW weekend coming up this week so it is time to renew my plaque sponsorship. 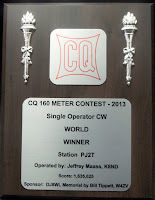 As always You can try to grab the plaque sponsored by me in Single Operator - Low Power, EUROPE category in the CQ160M, CW contest this year... In Memoriam to Jo, DL1RK - one of the most biggest Topband enthusiasts, excellent CW operator and mainly one of the best friend! I wish to all of you good luck and CU in the contest (me as OK5T contest team operator. Very nice Petr. Thank you to all those who sponsor plaques for various awards: winning is a fantastic high, and the plaque a smart reminder of good times for the shack wall.